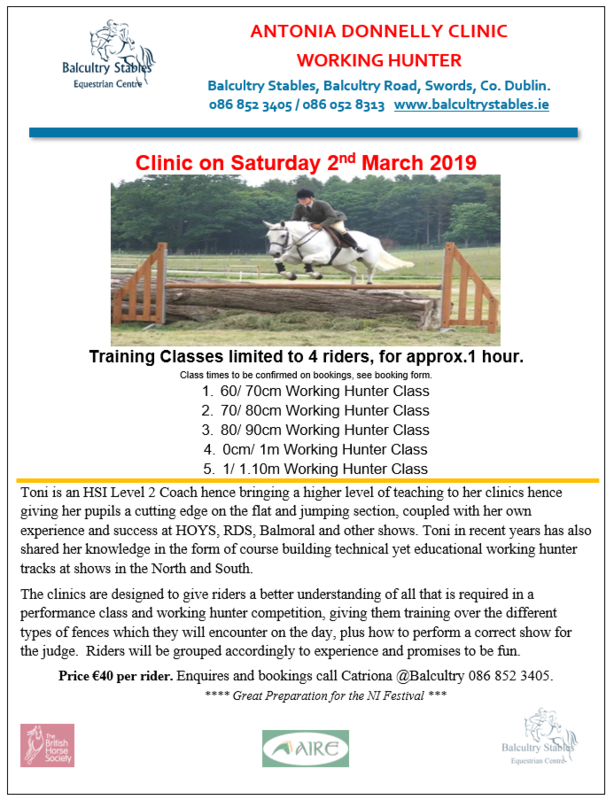 Full details of this Clinic are all the flyer below. Bookings must be paid for in advance, to hold your place. Please contact Catriona @086 852 3405 for enquiries and bookings. N.B. *Clinic monies can not be refunded, once your booked in. If you need to pull out, we can help you to fill your space if needed. Please return this form to us, and we will get back to you asap. Please note: *Bookings will only be held with payment. Refunds are not possible, up to 2 weeks before the start date. We will try, to help to fill your space if needed.